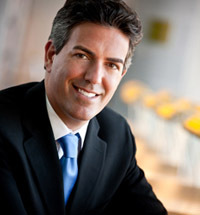 Wayne Pacelle is the president and chief executive officer of The Humane Society of the United States (HSUS) and author of The Bond: Our Kinship with Animals and Our Call to Defend Them (William Morrow) and The Humane Economy: How Innovators and Enlightened Consumers are Transforming the Lives of Animals (William Morrow). Pacelle took office at HSUS on June 1, 2004 after serving for nearly 10 years as the organization's chief lobbyist and spokesperson. Pacelle has spurred major growth for HSUS, which is now the nation's largest animal protection organization with 11 million members and constituents. The organization is the 155th largest charity in the United States. In his keynote speeches, as well as in his book, Pacelle explores the complicated and often contradictory relationships we have with animals - arguing that we have an instinctive bond with animals, but how that bond has been broken in many ways during the Industrial era. Pacelle, who has led the humane movement from the margins to the mainstream, takes readers to ice floes of Atlantic Canada and the sealers' assault on the greatest wildlife nursery in the world, gives them a glimpse of a freshly shuttered slaughter plant in California, plunges them into the chaos of animal rescue in the aftermath of Katrina, and provides them with a front-row seat as he and Michael Vick talk in a prison courtyard about dogfighting and the human-animal bond. In the end, Pacelle tells us about the new, humane economy and the way forward that is good for us and good for animals. 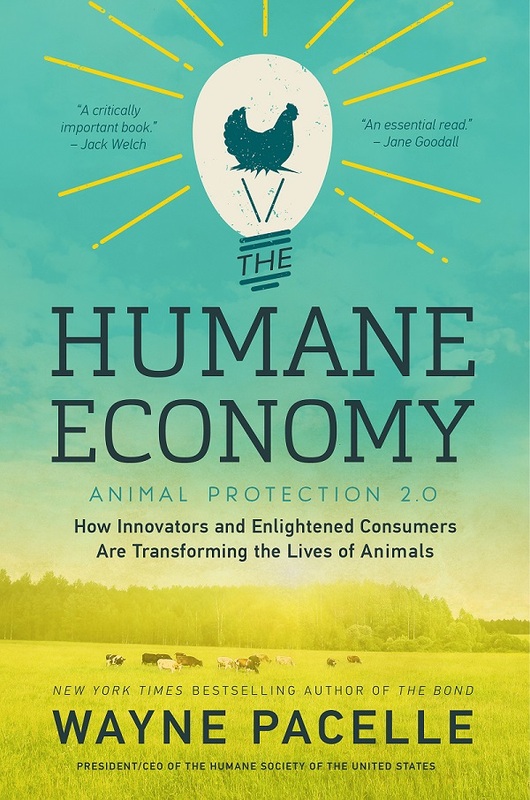 The Humane Economy explores how our everyday economic decisions impact the survival and wellbeing of animals, and how we can make choices that better support them. Pacelle shows us that what we do as consumers can benefit animals, the environment, and human society, and why these decisions can make economic sense as well. Pacelle's work on animal issues has been featured in thousands of newspapers and magazines across the country. He has been profiled in The New York Times, The Wall Street Journal, The Washington Post, and Los Angeles Times, and has appeared on almost all of the major network television programs, including 60 Minutes, The Today Show, The News Hour with Jim Lehrer, Larry King Live, Good Morning America, and ABC's Primetime Live. In addition, Pacelle is an experienced writer with numerous pieces published in a variety of newspapers, journals, and magazines including Human Dimensions of Wildlife, Campaigns & Elections, and The George Wright. He has written columns for dozens of major daily newspapers, including The Washington Post, Los Angeles Times, The New York Times, Chicago Tribune, Baltimore Sun, Dallas Morning News, Detroit Free Press, St. Petersburg Times, The Seattle Times, and San Francisco Chronicle. The Los Angeles Times reported in 2008, "Pacelle has retooled a venerable organization seen as a mild-mannered protector of dogs and cats into an aggressive interest group flexing muscle in state legislatures and courtrooms." In 2007, The New York Times reported, "The arrival of Wayne Pacelle as head of the Humane Society in 2004 both turbo-charged the farm animal welfare movement and gave it a sheen of respectability." In 2008, Supermarket News included Pacelle on its annual Power 50 list of influential individuals in food marketing, writing that "there's no denying his growing influence on how animal agriculture is practiced in the United States." Since 1990, Pacelle has led more than 25 successful statewide ballot measure campaigns. In 2010, Pacelle led the effort to pass Proposition B in Missouri, which is the first statewide ballot measure addressing the problem of cruelty at puppy mills. In 2008, he led the effort to pass Proposition 2 in California, halting the intensive confinement of 20 million farm animals. Prop 2 was the third in a series of anti-factory farming measures he and HSUS advanced, with Florida voters banning the use of gestation crates for housing breeding sows and Arizona voters putting a stop to the use of gestation and veal crates. He led successful efforts to ban the use of bait and dogs in the hunting of bears, cougars and bobcats in Colorado, Massachusetts, Oregon, and Washington; to ban the use of cruel traps in California, Colorado, Massachusetts, and Washington; to outlaw cockfighting in Arizona, Missouri, and Oklahoma; and to ban mourning dove hunting in Michigan, among other ballot measures. In 1996, Campaigns & Elections named him "a rising star in politics," saying the honor was "largely for his achievements in crafting, qualifying, and passing statewide ballot initiatives." Pacelle is also the founder of Humane USA, the non-partisan political arm of the animal protection movement, and the founder of The Humane Society Legislative Fund, a non-profit social welfare organization that lobbies for animal welfare legislation and works to elect humane-minded candidates to public office. Working with both organizations, Pacelle has helped to defeat some of the most active anti-animal welfare politicians in the United States. The NonProfit Times named Pacelle one of its "Executives of the Year" in 2005 for his leadership in responding to the Hurricane Katrina crisis. In both 2008 and 2009, The NonProfit Times named Pacelle to its annual "Power and Influence Top 50" nonprofit executives. In 2008, the National Italian American Foundation presented Pacelle with the Special Achievement Award in Humanitarian Service. In 2010, Pacelle received the Knight of Honor Award from Notre Dame High School. Prior to joining The HSUS, Pacelle served as the executive director of The Fund for Animals (1988-94). Pacelle also served as associate editor (1987-88) and, later, president of the board for The Animals' Agenda magazine, and as a guest instructor for the U.S. Fish and Wildlife Service Refuge Training Academy. He serves on the board of the Humane Society Wildlife Land Trust, Humane Society International, Humane Society University, the SPCA Wildlife Care Center, Global Animal Partnership and Humane USA. In 2006, he co-founded the National Federation of Humane Societies (NFHS), a trade association principally representing local humane societies across the nation, and he now serves on the board of that organization. Pacelle received his B.A. in History and Studies in the Environment from Yale University in 1987. “Essential reading for anyone interested in animal welfare. 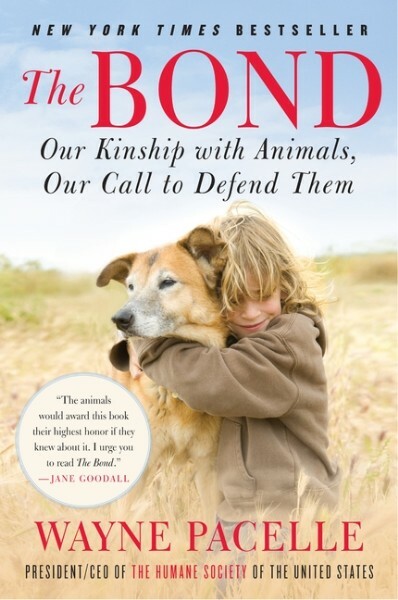 This fabulous book reveals the inside story of how the fight against human cruelty to animals is gradually being won. A fascinating, highly readable, and remarkably comprehensive book."